This decision by Delta will ultimately save money and increase its customer satisfaction rate. 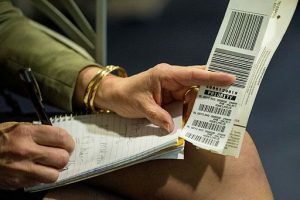 Delta’s “mishandled bag rate” is already lower than the industry average — .23% versus .65% — but the implementation of the new RFID system should decrease that number even further. And once all airlines are using this system, we should see the overall industry average drop as a whole. What do you think about these new RFID tags? Have you seen them in action? Have you ever used a third-party luggage tracking device? Let us hear from you in the comments below, on our Facebook page, or in our Twitter stream.